The warmer weather and longer days in the Northern Hemisphere is a good sign that summer is here! It’s a great time to make small projects on the go and bigger ones for those lazy vacation days. I’m sure you’ll find a few things to inspire your creative soul today! 1. Learn How to Make a Pocket Pincushion from Sarah Ashford for The Polkadot Chair. I love how practical and cute this little sewing helper is! 2. Have you ever tried to take a picture of a quilt that is larger than you (or your personal helper)? Yvonne at Quilting JetGirl has solved that problem with her Quilt Photography Tool. She has a great tutorial so you can make your own! 3. It’s the perfect time to whip up this Patriotic Patchwork Pillow by Nicole at Modern Handcraft. Nicole has all of the details to make this beautiful red, white and blue pillow. 4. One of my favorite quilt patterns is the log cabin. Carolyn at Sew Can She has a free pattern to make a log cabin quilt using lots of scraps! This is a great way to do some stash busting. 5. This adorable Simple Sprocket Pincushion tutorial is from Sedef at Down Grapevine Lane. She is guest posting for Amy at Diary of a Quilter, where you can find the full tutorial. 6. This Seaside Tote Bag Tutorial by Amanda at Jedi Craft Girl is the perfect bag to take along on your summer excursions! The nautical theme and size makes it a great take along for the beach, too! 7. Jan at Sew and Sow Farm is hosting a Little Dresses for Africa Sew Along beginning now through July 15. She has some links for tutorials to make a dress, shorts or feminine pad that can be donated to charities working with Africa. Check out her blog for more info. 8. 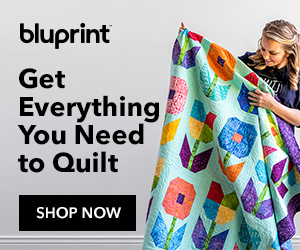 Grab your fat quarters and join Melissa at Happy Quilting to make her Drift Away Quilt using her free tutorial. This is part of Fat Quarter Shop’s celebration of 15 years in business. I love a good fat quarter party! 9. Wrapping gifts has been taken to a new level with these Tips for Using Drawstring Bags to Wrap Gifts by Jeni at In Color Order. The gift bag in itself is a treasure! 10. If you need a portable sewing project for the summer, check out the Kingfisher Stitch Along hosted by Rachel at Stitched in Color and Jodi at Tales of Cloth. I’ve seen a lot of buzz about this one on Instagram. If you haven’t tried English Paper Piecing, this might be the perfect time! I’m so excited for the long summer days ahead, and now I’ve got some projects to add to my summer list. I hope you’ve found something that tickles your fancy, too! Thanks for joining me on Sew Thankful Sunday and to everyone featured today! I really look forward to your blogs, I always find something interesting to work on, here in Argentina cold is settling in, ideal time to carry out some of your delightful suggestions, thanks so much! Hello Julie; I always enjoy these posts on Sundays. Well, all of your posts as hopefully you know. We seem to follow many of the same blogs for this week, I already have all of these wonderful projects marked in pinterest or another folder. There are so many talented creative people who are able to share their ideas with the world now, due to the ease of access and knowledge on the internet. So when other bloggers take the time to point out special ideas they ran across, I think it is awesome! You are a magnificent blogger plus, one of the creative individuals who shares your ideas also. I had some dental work done yesterday and did not comment. I did get it printed and will try and get started today. I am looking forward to this project! Have a great day! Thank You so much for sharing!!! Your posts always bring a smile to my face! My go-to spot for cheery ideas! Thank you for sharing these projects. I love all the projects you featured today. Looking forward to making some of them this summer.